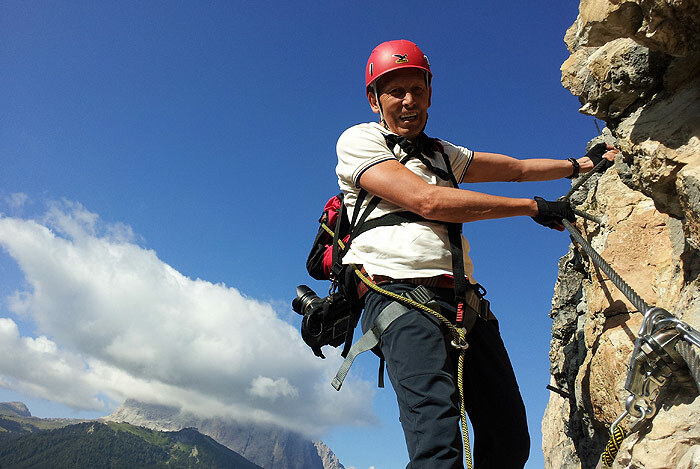 Discover the fascinating mountain world of the Dolomites up close and in its full splendour. 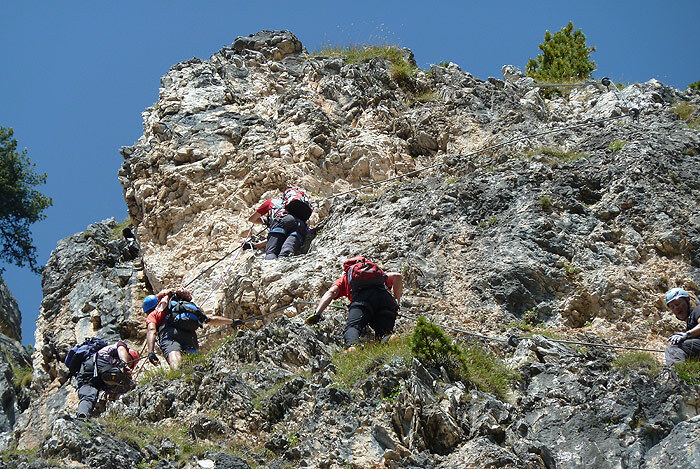 The experienced and qualified mountain guides of the Alpine Schools of Val Gardena will accompany you on your discovery journey through the breathtaking scenery of South Tyrol. Enjoy unforgettable mountain experiences in full security. There are two Alpine Schools in Val Garden and furthermore one independent mountain guide. Their large offer ranges from guided hikes and vie ferrate in all levels of difficulty to climbing courses for adults and children, glacier tours and in the winter months ski tours, snowshoe hikes and ice climbing courses. 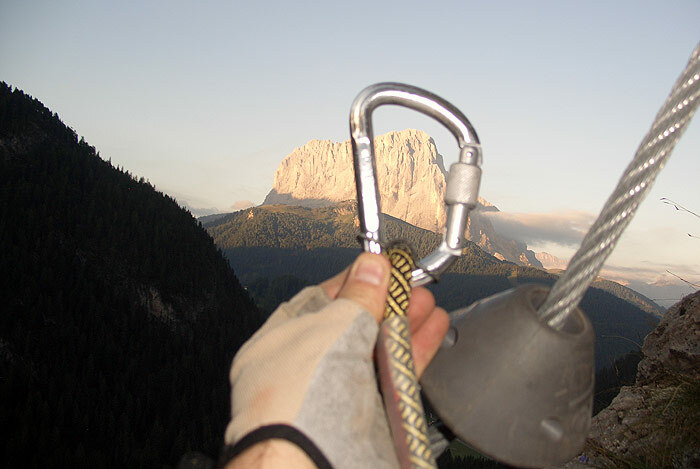 Furthermore individual mountain hikes and demanding climbs with a professional guide can be booked in the offices of the Alpine Schools in the three villages Val Gardena Ortisei, S. Cristina and Selva. 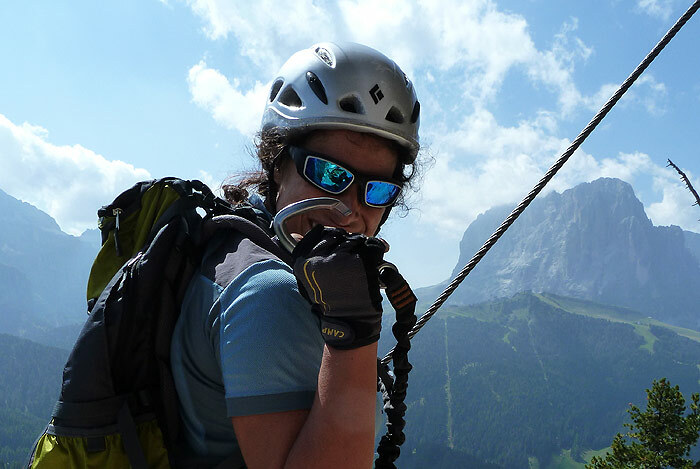 Enjoy, fascinating vie ferrate and unforgettable moments at the summits of the Dolomites, the UNESCO World Heritage Site together with the mountain guides of Val Gardena.